Before you begin writing your first post, read skyblue’s draft from last semester, and my feedback to her post. Before class WED SEP 09, post a reflective response to the story of money on the island of Yap. Find the resources for your assignment in the sidebar under the Category A01: Stone Money. Listen to the prologue to the NPR broadcast titled “The Invention of Money.” The first 10 minutes of the one-hour broadcast from the Planet Money team describe the stone money of Yap. Read the closely related 5-page article, “The Island of Stone Money,” by Milton Friedman. For related stories about money, I have provided links to stories about Bitcoin and about Japan’s recent attempt to buy its way to prosperity. Once you’ve completed your research: Post your 500-word analysis of the abstract concept of money. Describe how your thinking has changed in just two days (or why it hasn’t) about money, wealth, and our faith in things we never see. YOUR AUDIENCE WAS NOT IN OUR CLASS AND WILL NOT UNDERSTAND SUCH REFERENCES AS: “THE DISCUSSION WE HAD IN CLASS,” or “THE BITCOIN READING.” EXPLAIN THE CONCEPT OF MONEY AS REVEALED IN THE SOURCES AS IF YOU WERE ADDRESSING SOMEONE UNFAMILIAR WITH OUR CLASS AND THE SOURCES. Cite the broadcast and “The Island of Stone Money” if you wish, but also cite two sources besides the NPR broadcast and the Milton Friedman essay. Post your response to the blog (see Details below). Notes: I’m not interested in your critique of the quality of the writing or the production values of the Planet Money team that produced the story. Instead, I want you to examine the thinking and the behavior of the people involved in the story: for example, the Yap islanders, the German government, the French Bank, the US Treasury, the Brazilians who used cruzeros, the Brazilians as they adapted to the real. The Americans who operate the federal reserve. What is their concept of money? How does ours differ from the Yaps’? 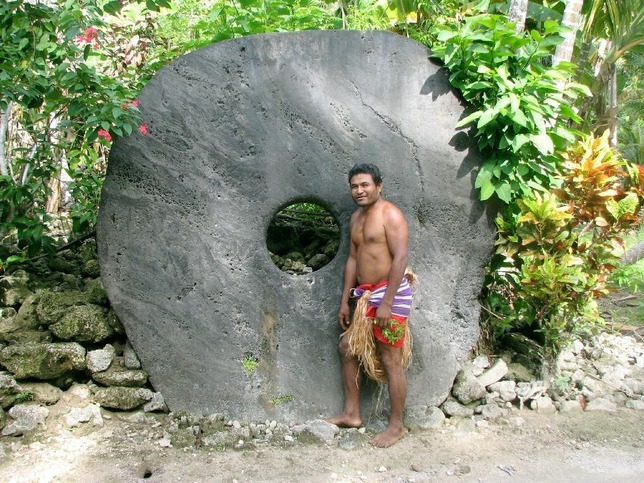 In what ways was the Yap concept of money more or less abstract than ours? How fluid is the value of our money? Sample questions to consider: What is the intrinsic value of money? How could labeling some gold in a basement vault in the US bring down America’s banking system and usher in the Great Depression? What feature of our monetary system might the Yap consider most bizarre? What made Brazilians trust the new currency? How did the recent “fiscal cliff” debate in the US raise questions about our own money as a reliable vehicle of wealth? How could the Japanese plan to invigorate their economy go wrong? Why is public faith in the value of a currency so important? DUE: Noon Tuesday (11:59 am TUE SEP 08). Publish your assignment in two categories: A01: Stone Money and the category for your own name found under Author. Give your post the title Stone Money–Username, substituting your own username, of course. Cite two sources in addition to the NPR broadcast and the Friedman essay. The word count (500 words) is a target; thorough analysis of whatever length will be graded higher than superficial writing that wastes words. Complex ideas briefly expressed are rewarded best. You will receive just one grade for this draft, which is intended to diagnose your abilities and needs. If you request feedback, you’ll receive guidance to help you improve your grade on the first draft. In two weeks, you’ll revise your draft, with or without feedback, for a Rewrite grade (A03: Stone Money Rewrite). This entry was posted in A01: Stone Money, Assignments, davidbdale, Professor Post. Bookmark the permalink.